A sweet and warm high-rise dessert! That’s right. Hot, fluffy, sweet, and ridiculously good-looking Japanese hotcakes. Pancakes are a household breakfast item in America. 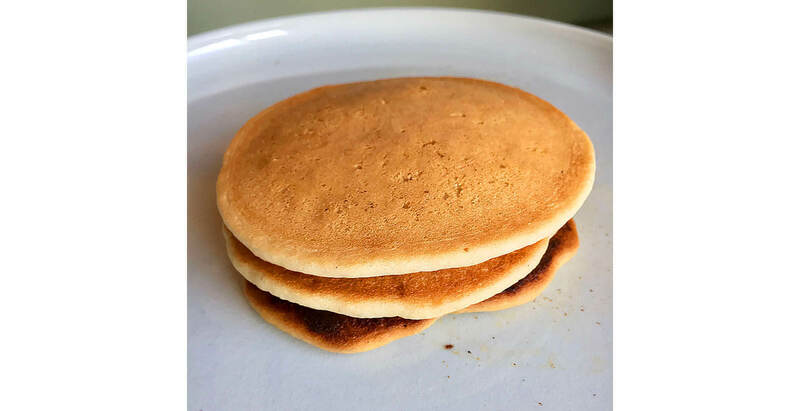 They are generally flat, round cakes prepared on a griddle or frying pan and served with maple syrup, butter, and a side of fried bacon or sausage. 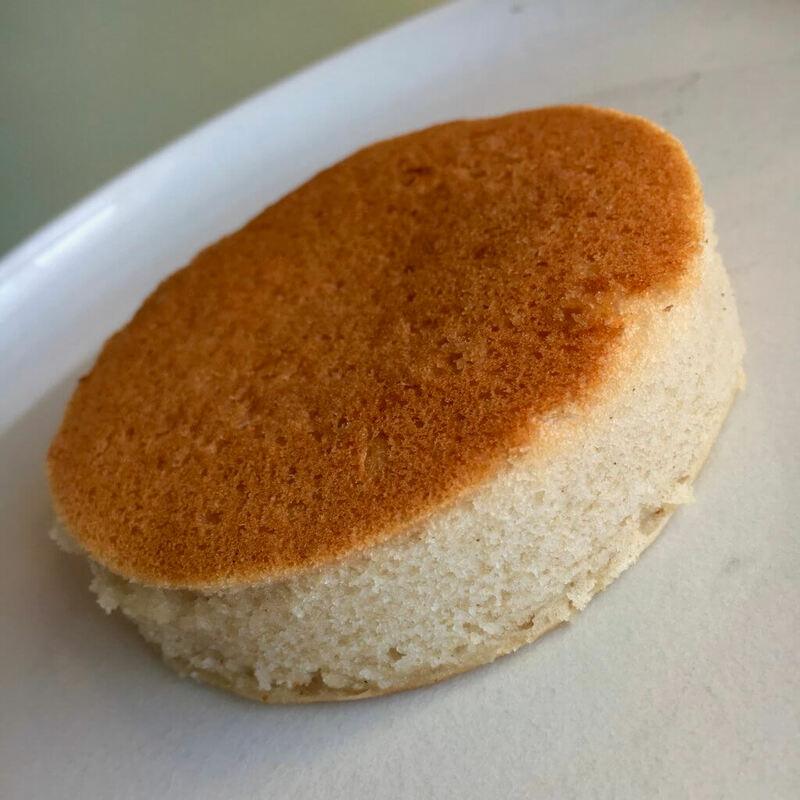 Japanese hotcakes, or hottokeki (ホットケーキ), are spongy, tall, round cakes prepared with a combination of conduction and convection that ensures a hefty rise without sacrificing structure. These babies are sweet and definitely pack on the calories, especially with the never-ending options for toothsome toppings, like whipped cream, fresh fruit, chocolate sauce, ice cream, and custard. Now let’s talk food science. 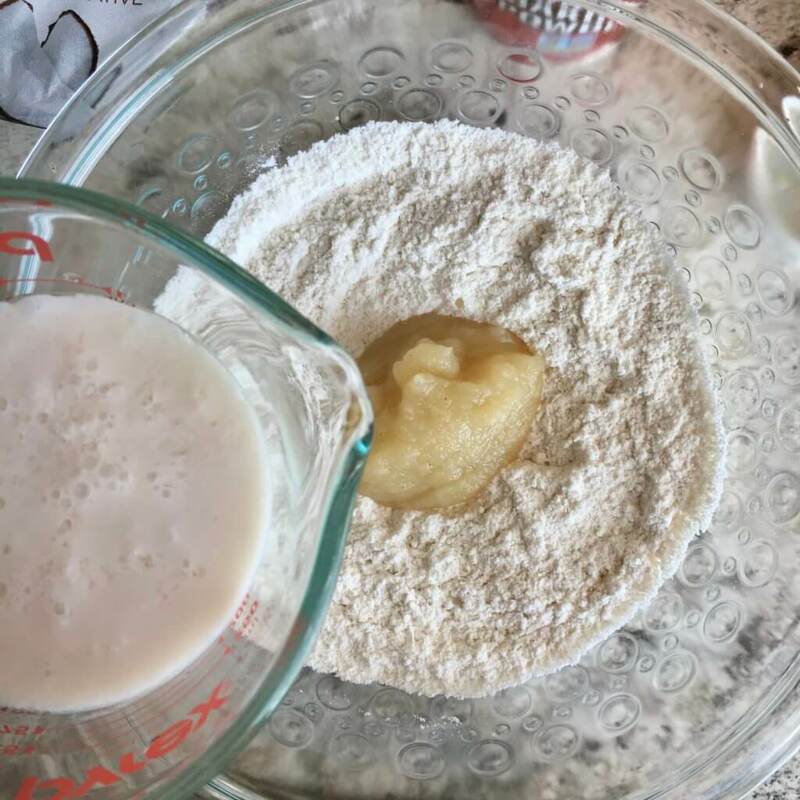 In Japan, it’s quite popular to use a Japanese Hotcake dry mix when satisfying a sweet tooth, but it’s just as easy to make hotcakes from scratch. 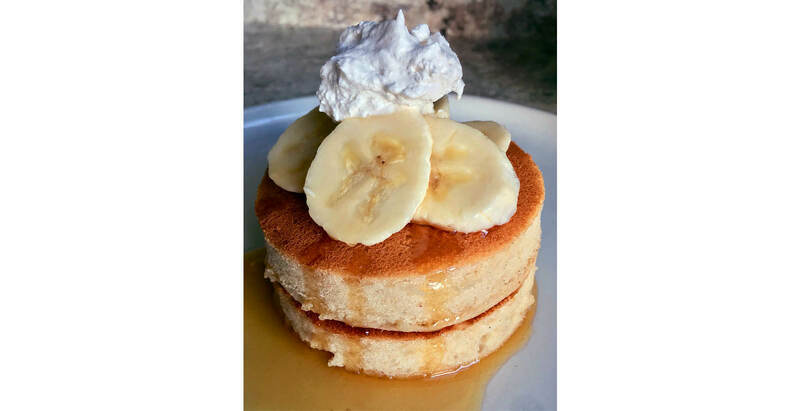 The spongy consistency of hotcakes is achieved by an unconventional mix of buttermilk and mayonnaise. Both are acidic, which help activate the leavening power of the baking powder. Tiny bubbles erupt from the reaction, pushing the hotcake above the height of a pancake. The fat present in buttermilk and mayo also keeps the bubbles small, which produces the desirable spongy cake texture. So, shall I pull out the Hellman’s, you ask? Well, you can, but the favorite mayo amongst the food blog world is Japanese Kewpie mayo. But vegans can’t eat mayo or buttermilk. Mayo is an emulsion of egg and oil, and buttermilk is dairy. So, how can we replicate the acid and fat without using animal products? Coconut yogurt, my trusty old pal, has come to save the day. Its fat content is similar to that of mayonnaise (about 75%), and since it’s a fermented food, it is naturally acidic. But what about buttermilk? Well, dear readers, today, we shall make non-dairy buttermilk using a milk alternative and a little bit of acid. The non-dairy milk needs to have a high protein content, like almond milk or soy milk, so that coagulation occurs. As for the acid, I prefer the flavor of lemon juice, but apple cider vinegar, or any other vinegar, will work too. Add the almond milk to the lemon juice, let it sit for 5-10 minutes, and voila! Science is magic, friends… er, food science is science, actually. Now, all you need is a circle mold. I used a stainless steel circle mold, but you can also make your own. Descriptive instructions are provided on Chopstick Chronicles’ hotcake post. Honestly, you can make this recipe without the mold, but the result will be slightly fluffy normal pancakes. 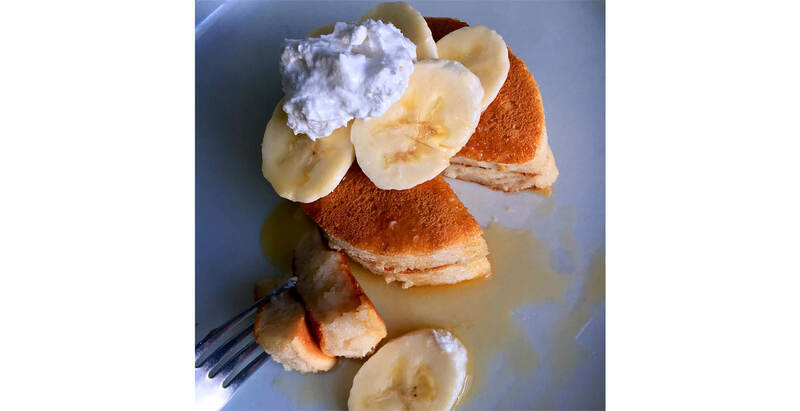 Without further ado, I present to you fluffy Japanese hotcakes with optional gluten-free and vegan instructions. Bring on the sweet! Sift flour, baking powder, salt, and sugar together into a bowl. If you don’t have a sifter, just give it a good old-fashioned whip with a wire whisk. Make a well in the dry ingredients, and add egg, buttermilk, and vanilla extract. Mix until just incorporated. Then add the mayonnaise and mix until fully combined. Heat a non-stick frying pan over low heat. Place a well-oiled and parchment-lined circle mold into the middle of the pan. Before adding the batter, ensure the pan is warm. Then, using a liquid measuring cup, pour the batter into the mold until it’s 3/4 full. Place a lid on the pan and cook for 15 minutes, or until little bubbles appear on the surface of the pancakes and the edge is slightly cooked. Using a flexible spatula, flip the mold and batter. Cover the pan again, and continue cooking 10-15 more minutes. To ensure the pancake is done, stick a toothpick into the middle. If it comes out clean, then the pancake is cooked through. Remove the pancake from the heat. If using a homemade mold, remove the staples. Protect your hands with gloves or mittens, and then take the pancake out of the mold. 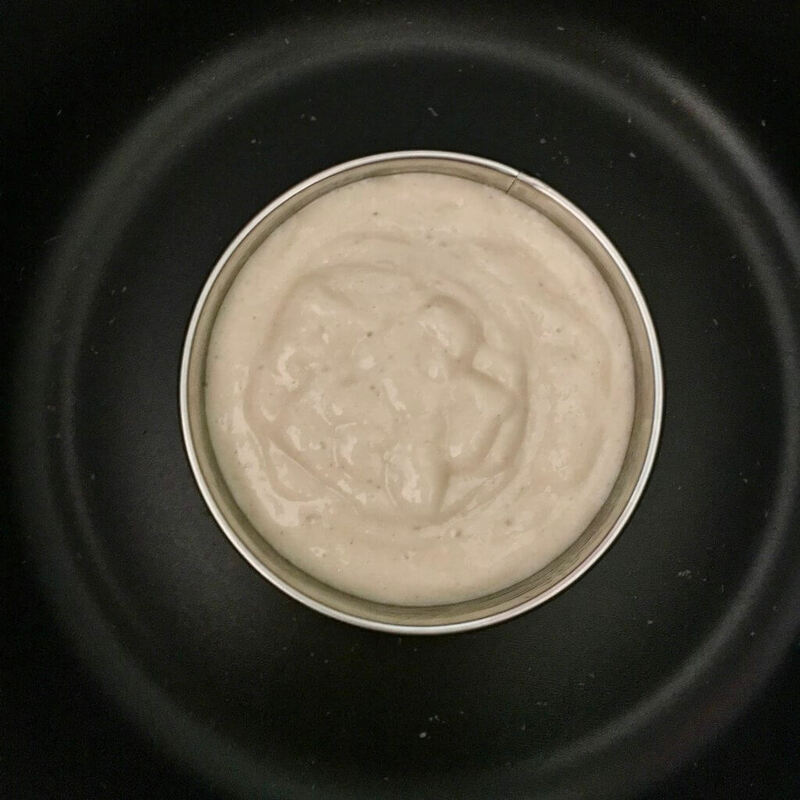 If using a stainless steel circle mold without parchment, allow the mold to cool for a few minutes, and then run a sharp knife around the outside before attempting to shimmy the pancake out of the mold. Repeat steps for the remaining batter. Serve with your favorite sweet toppings and enjoy! 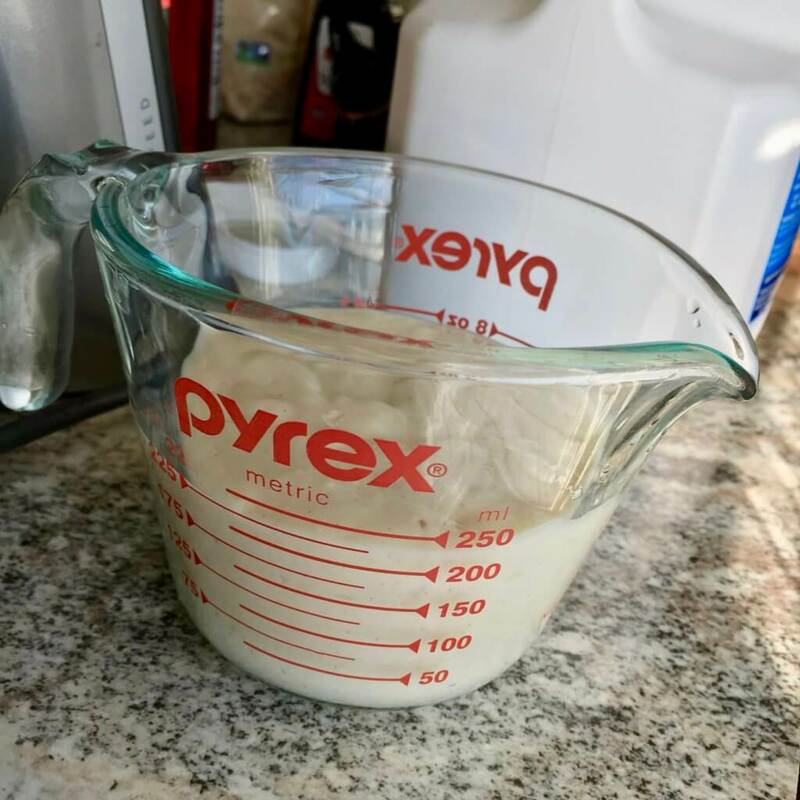 In a liquid measuring cup, add 1 Tbsp. of lemon juice. Then, pour the unsweetened almond milk over the lemon juice until it reaches the 3/4 cup mark. Set aside for 5-10 minutes to allow the milk to coagulate. 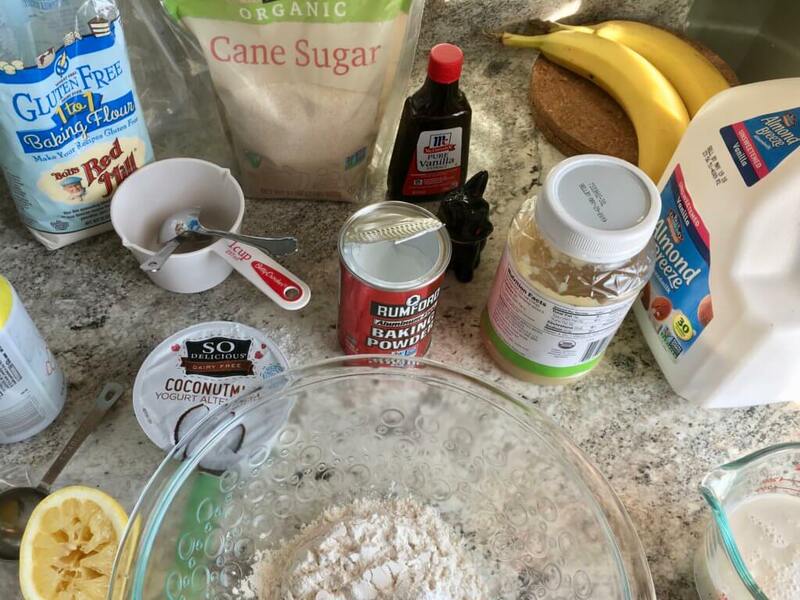 Make a well in the dry ingredients, and add applesauce, milk+lemon juice, vanilla extract, and coconut yogurt. Mix until fully incorporated. Article was well detailed and documented with narrative, photos, videos, and references for a fail-proof cooking experience! Yumm! !